Even though I was hoping that she would show up to the 2016 Academy Awards and wow everyone on the red carpet, Lupita Nyong'o on the cover of InStyle magazine almost makes up for her absence at the Oscars. Almost. However, this photo for the fashion magazine's upcoming spring issue is simply amazing — and not just because it's the first time that the Oscar winner has graced its front page. "Spring is in the air... and I'm excited to share my first InStyle magazine cover," Nyong'o said. Wearing a teal green dress by Proenza Schouler, Nyong'o dominates the cover with her confident beauty and poise. The outfit is reminiscent of Rihanna's fishnet dress from her "Work" music video, but in a single jewel tone. And speaking of jewels, Nyongo's mag cover bling is made up of two statement rings, an ear cuff, and a black belt. Her makeup is fresh and flawless, as per ushe. 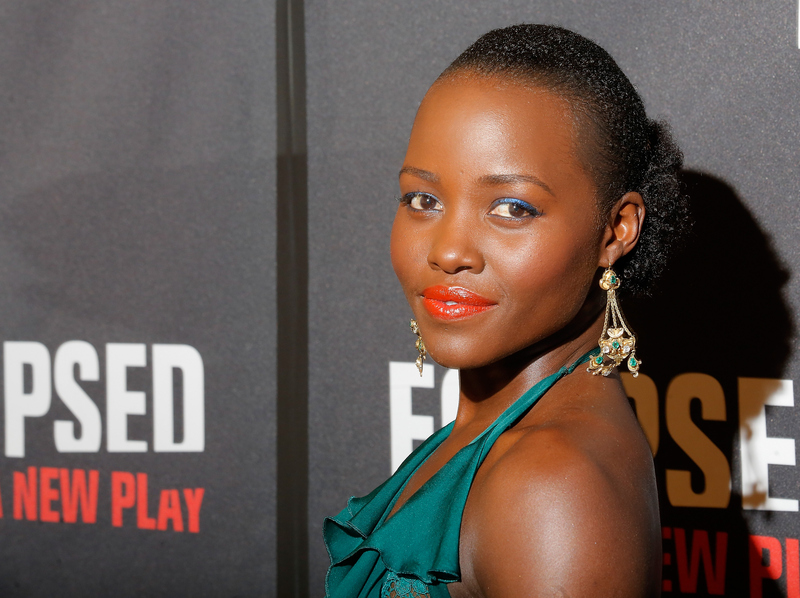 Nyong'o is currently starring in the Broadway play Eclipsed , where she is getting rave reviews for her performance. Have I mentioned how much I missed Lupita Nyong'o at the Oscars? Hopefully she'll make her triumphant return next year, but there's always the Tonys to look forward to. Nyong'o has been killing it in green frocks the past couple of weeks. Here she is wearing a printed green dress alongside her Eclipsed co-stars in a photoshoot. Can we talk about the actress in this Balmain gown at the play's opening night? AMAZE. And this throwback photo of Nyong'o twirling in Gucci at Cannes last year is the most magical thing ever. All hail the queen of green.